Metal being poured directly into a 3D printed ceramic mold for investment casting. Image courtesy of Olivier van Herpt. Investment casting has been used for millennia. In this process a wax pattern is made. This is hardened, then the wax is vaporized. The resulting mold is then hardened once again and surrounded by sand. The ceramic shell that emerges from this process is then filled with molten metal before being broken away. Investment casting is a complex multi-step process that is used extensively in industry to make all manner of parts. From small highly detailed jewels to ship parts that are several meters across, they are all made with investment casting. Investment casting can produce very detailed, very thin, highly dimensionally accurate parts. These parts may have a high degree of complexity and a need for high tolerances. At the same time the many steps in investment casting mean that there is a high degree of manual labor involved in the process which drives up cost. Investment casting’s total time to part and the overall energy use throughout the process are also far from ideal. Extensive use throughout the years of investment casting in high end applications however have meant that there are vendors that can meet the most demanding metal parts’ needs with investment casting using skills honed in the marine, aerospace and defense industries. Investment casting is often called lost wax casting and the two are used by many as synonyms. The processes are similar, but different however. In lost wax casting, a wax pattern is made and a mold is made directly around it. The molten metal is poured into the mold and the wax is melted. Essentially in lost wax casting the wax is directly replaced by the metal that will become your final part, whereas in investment casting the wax pattern is replaced earlier in the process to create the mold. Lost wax casting is often used for jewelry and typically with silver or gold. Investment casting is used in more demanding applications such as aerospace and is used with metals such as Inconel. Through rapid tooling interim tools are made using 3D printing. This means that the tooling step in a molding process can be accelerated or reduced in cost. The tool itself is 3D printed and a number of steps are skipped. A 3D Systems Quickcast mold and the final part made from it. Additionally other stereolithography patterns have been made using resins. By reducing the cost and time to the pattern the overall investment casting process is accelerated and costs are reduced. Conversely wax 3D printed patterns can be made directly using 3D printing. This means that a more familiar material, wax, is used instead of the regular SLA resins. This process is easier to adopt in foundries. Depending on the size/shape of the object, your workflow and the type of equipment you have wax or SLA patterns may be better. Conversely wax 3D printing, such as with Solidscape or resin printing using 3D Systems, Formlabs or EnvisionTEC machines can also be used with lost wax casting. This is a very high throughput process for jewelry applications for example. Although the finished cast pieces often require post processing the rest of the process has been highly optimized. For small series and unique small sized pieces this is a very cost effective way to produce parts. This can in some cases be used as an alternative to investment casting. A highly productive voxeljet VX 4000 3D printer often used in casting workflows. Metal 3D printing using either ExOne or voxeljet is an alternative to investment casting. 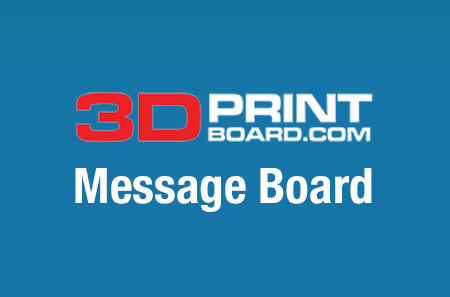 With voxeljet an inkjet head prints a core out of PMMA or sand that can be used for casting. With ExOne an inkjet head also prints out a core or a ‘green state’ part. This part can then later be infused with bronze or another metal and then sintered. Voxeljet machines are some of the largest industrial 3D printers in the world and are used to print oil and gas parts that can be several meters in size. Depending on the part voxeljet could be faster and more cost effective than investment casting. Directed Energy Deposition (DED) is a process whereby (usually) an electron beam melts deposited metal. It could also use a laser beam and the metal could be deposited as a wire or a powder. There are a whole host of directed energy deposition technologies out there but they all have similar results. These technologies are used in aerospace and have been for years. Usually they emerged from electron beam welding technologies and from aerospace applications. DED can make large 3D printed parts but these have to be post processed by CNC to be smoothed out. Quality wise, think metal Cheez Whiz. However with post processing these technologies can be used for aerospace parts. A 3D Printed ceramic mold made on an Olivier van Herpt ceramics printer after metal casting. Since 2013 Dutch designer Olivier van Herpt has been directly 3D printing the final ceramic molds used for investment casting. These 3D printed ceramic molds are then directly cast in metal. This lets the designer skip a considerable number of steps in the investment casting process, saving time and money. The molds can be up to 80 by 50 cm in size and are 3D printed in under 3 hours. The mold then dries and is fired before being cast and then broken away. Depending on the size and shape of the mold, van Herpt’s process is significantly faster and more cost effective. Some shapes could only be done with SLA or wax molds but for those that can be quickly printed using his process, van Herpt’s $35,000 3D printer provides for a much less expensive alternative. The printing material is regular clay or ceramics material so the per kilo cost of the print is much less. 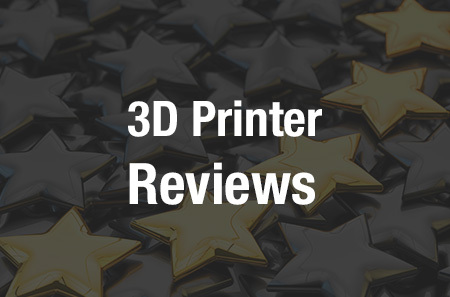 The print time of Olivier’s 3D printer is also significantly faster than any other 3D print technology. Investment casting may not be something on the tip of many “technologists'” lips and it may not be the kind of thing the oh-so-many oh-so-prevalent oh-so-useless 3D printing “gurus” are talking about. This is a tried and true production technology however that has been making some of the most high-tolerance critical engineering parts for hundreds of years. In aerospace applications and other high-tech areas, investment casting makes some of the most technologically advanced things that humans make. This is notable for such an age old process. Since the days of 3D printed rapid tooling, our industry has tried to add value to or replace wholesale the investment casting industry. It is through our engagement with these kind of industries that our technology will either pass muster and be used in the next generation of aircraft, satellites and other high tech applications or be left by the wayside. Having ridden the hype wave, it is now up to our ability to make high-quality parts cost effectively that will lead to our future.